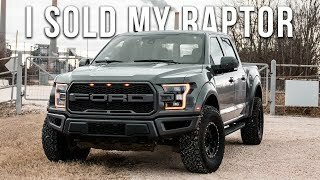 The 2018 Ford F150 Roush Performance is here! 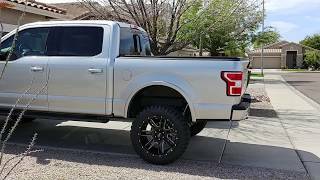 The truck features Roush/Fox Racing suspension, 20" Roush wheels with Mickey Thompson Tires, and the Roush Off-Road exhaust system. Roush upgrades the appearance all the way around, giving it a much more aggressive look. What do you think? Not sure I understand the Roush package. 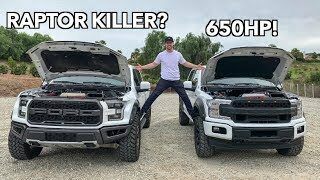 Says it adds 650hp, but this video says the supercharger is extra??? Mine has a large safe built into the center console, heated leather seats, a moon roof that slides to the back window and a rhino liner. This truck is fully loaded😉 love it! cheers!! 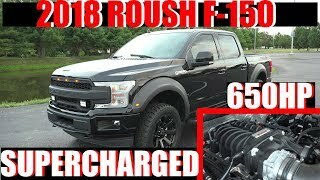 How much is the Roush and where can i buy one? 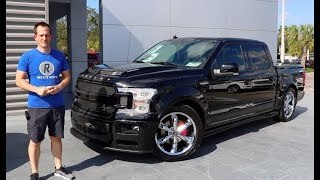 I just bought the 2018 F-150 BLACK WIDOW EDITION! Done by SCA PERFORMANCE! LOVE the truck! 6" lift & all the extras in & on the truck are awesome! But it wasnt quite enough, sooo I ordered & I'm having the ROUSH SUPERCHARGER installed this coming Monday! I can't wait for the power of 650HP & that ROUSH sound coming from that 5.0L!!!! Thanks for this review! It’s super helpful! You did a super great job of explaining this truck! 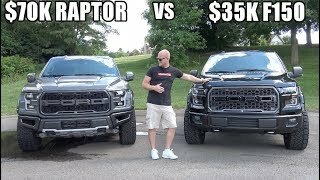 I just bought a 2018 xlt 302a f150, an paid the 10k roush package on the right Item, 5.0 roush supercharger, I’ll build the outside my way, total sleeper truck. What was your final cost of the truck? I love all the new F-150’s. 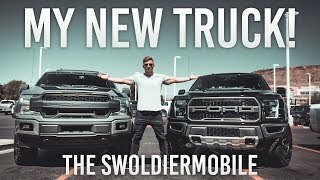 Ford has done an excellent job designing these trucks. The only problem is justifying spending $50-$60,000 for a truck that doesn’t come standard with leather seats. That should be automatically on every truck in that price range. I’m surprised Roush put their quality branding on a vehicle that doesn’t have their super charger. 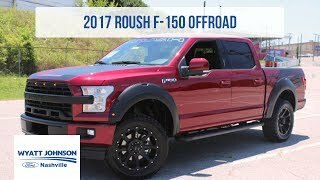 Definitely need to step it up to call it a Roush F-150. 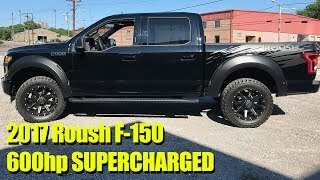 If I already have a 2018 ford f150 XLT with the black sports appearance package, could I upgrade it to a roush? 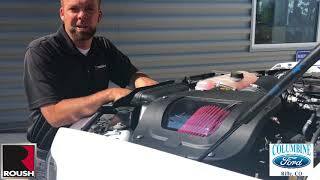 Dealership is installing my Roush Supercharger on my Black Widow & it will be Roush Certified. It’s an option on the Lariat models and above. V8 American muscle baby. Roush all the way. 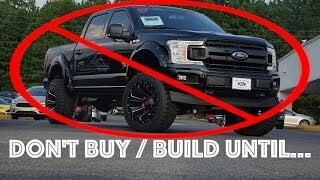 This is a let down... You could just buy a basic XLT and make it better than this Roush for thousands less. No way in hell I'd pay that price for a few stickers, shocks, and exhaust. 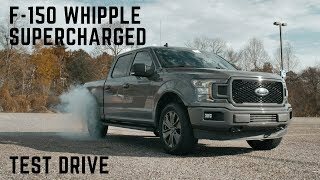 Great video..that tailpipe will never ever be that clean again, these trucks should come work mud flaps - any ideas on something that will work on these I have a 2017.
will this model will be available in india ? 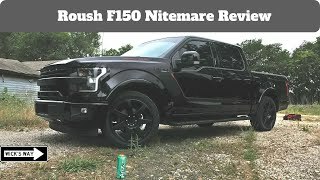 Do you have a 2018 Roush F150 Platinum? The unpainted fender flares and grille look cheap af. 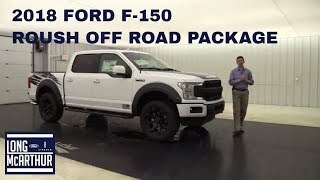 Hey Mitch, what is the price point difference in the this truck versus the mega f-150 from Southern Comfort? Thanks! 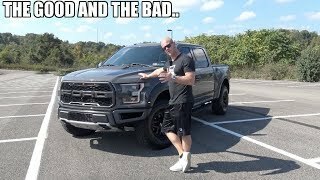 This is the second or third video I've seen on your channel where the Roush exhaust is stilling all crooked. Either your shop is not installing them incorrectly or Roush has a problem. It doesn't look right. Stop video at 10:25 and check it out. 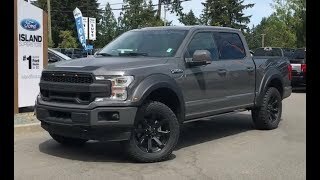 I'm guessing a Roush will be 8-12K over a regular truck depending on equipment & I see a bunch of stickers, unpainted plastic, cheesy serial plates and no real performance mods. The front end plastic grill, etc. is complete trash for such an expensive truck. Looks like it came out of a Cracker Jack box. 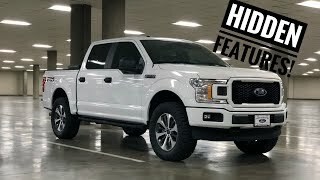 2018 F150 XLT 3.5tt EcoBoost Latest upgrades!